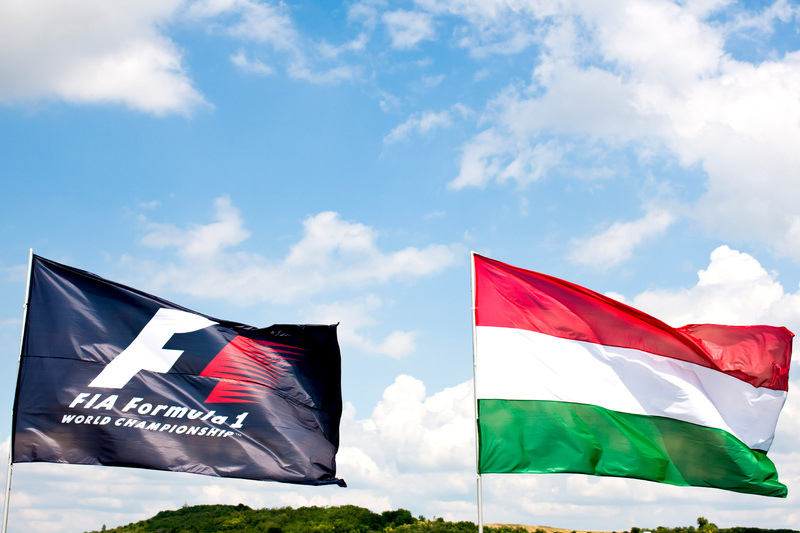 The 2016 Hungarian Grand Prix starting grid was rocked by regulatory farce when the stewards were forced to deliberate over the application of the 107 per cent rule after Saturday’s rain-affected qualifying session. Daniel Ricciardo, P3; Max Verstappen, P4; Nico Hülkenberg, P9; Valtteri Bottas, P10; Sergio Perez, P13; and Jolyon Palmer, Felipe Massa, Kevin Magnussen, Marcus Ericsson, Pascal Wehrlein, and Rio Haryanto all set times greater than 107 per cent of the benchmark time in Q1. Because more than six drivers infringed upon the rule, five progressed to Q2 and four qualified in the top 10. During Q1, any driver whose best qualifying lap exceeds 107 per cent of the fastest time set during that session, or who fails to set a time, will not be allowed to take part in the race. Under exceptional circumstances however, which may include setting a suitable lap time in a free practice session, the stewards may permit the car to start the race. Any driver accepted in this manner will be placed at the back of the starting grid after any other penalties have been applied. Should there be more than one driver accepted in this manner they will be arranged on the grid in the order they were classified in P3. After lengthy deliberations the stewards allowed all 11 drivers to enter the race, but applied the third paragraph — that multiple drivers will be arranged in free practice three order — to only those who were knocked out in Q1. Coincidentally, Palmer, Massa, Magnussen, Ericsson, Wehrlein, and Haryanto qualified in the same order in which they finished free practice three. The remaining five drivers were given additional dispensation to start the race from the grid places for which they qualified due to the “exceptional circumstances experienced during qualifying”. Q1 was heavily affected by rain, first being delayed by 20 minutes while the weather eased, then paused by four red flags, one for worsening weather conditions and three for crashed cars. Teams with a vested interest in the five drivers having their times dropped were prevented from appealing by article 17.2 (d), which states that a competitor cannot appeal a decision of stewards relating to article 35.1, the 107 per cent rule. As a result, the grid according the provisional qualification results published immediately after Saturday’s session, remains unchanged.